 Warsaw Center of Mathematics and Computer Science (WCMCS) is looking for experienced scientists with excellent research record and outstanding scientific achievements who will launch and execute successful research projects, as Principal Investigators (PI's), in relation to the topics developed at WCMCS. The successful candidates will be hired at one of the institutions of WCMCS as Associate or Full Professor. The length of the contract and its financial terms are negotiable. The teaching duties will be moderate (30 to 60 hours per semester) and they will be related to recipient's scientific interest. As the major part of the contract, the recipient is expected to prepare and submit to one of the Polish or European science funding institutions a successful large scale research grant proposal. Ideally, the proposal should combine the strengths of the prospective PI and of one or more research groups based at WCMCS. WCMCS will provide full funding for the prospective PI during the proposal preparation and evaluation phase, but not longer than 18 months, and will sustain the financial support of the PI, complementary to the grant's funding, during the execution of the project, but not longer than until 2017. After completion of the project the PI can apply for a regular professor position in one of the institutions forming the WCMCS. The person seeking employment as a Leader of a Research Project at WCMCS should send a letter of application to wcmcs.jobs@mimuw.edu.pl. The letter should contain, as pdf attached files, the following documents: (1) applicant's CV together with a list of publications, (2) applicant's research statement describing his/her research achievements and current research interests, (3) a sketch of a research project involving the applicant and employees of the institutions of WCMCS, (4) the timetable of the proposal preparation together with the names of the science funding agencies and types of grants for which the application will be prepared. In addition, the candidate may ask (at most) two senior scientists for letters of recommendation which should be send directly to the same e-mail address.